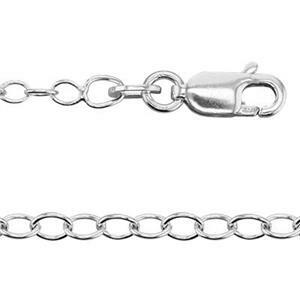 Wide open medium silver jewelry chain makes it easy to attach jump rings for charms and links. The lobster claw jewelry clasp is easy to grab and trigger behind your neck when you put this chain on and take it off. A prefered choice for higher quality jewelry designs and increased perceived value.